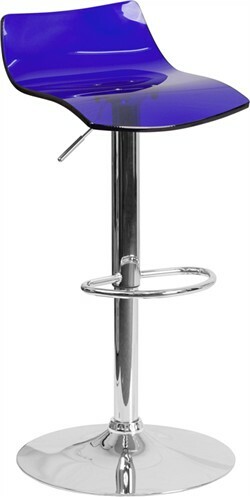 Contemporary Transparent Blue Acrylic Adjustable Height Barstool w/ Chrome Base – Flash Furniture CH-88005-BL-GG This distinctive looking stool will compliment an eclectic space. 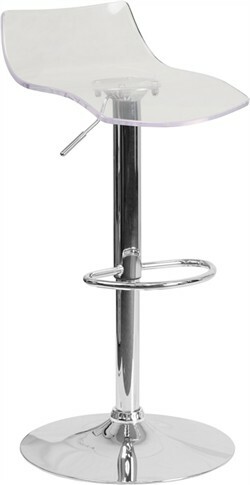 The transparent finish gives this stool a contemporary design. 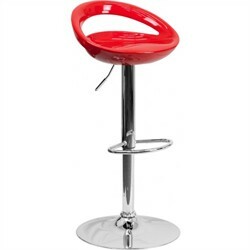 This attractive stool will accent your kitchen, dining, or bar area. 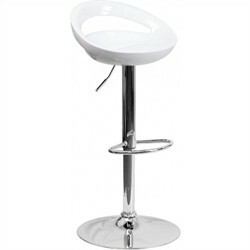 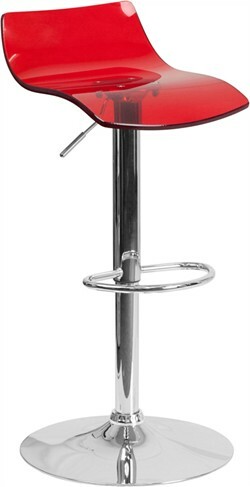 The dual purpose design performs as a counter height stool or a bar height stool. The height adjustable swivel seat adjusts from counter to bar height with the handle located below the seat. To help protect your floors, the base features an embedded plastic ring. 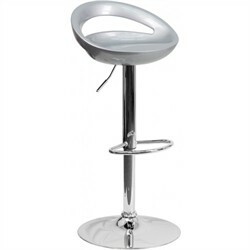 CH-88005-BL-GG Features: Contemporary Style Stool Low Back Design Transparent Blue Acrylic Seat Swivel Seat Height Adjustable Seat with Gas Lift Seat Adjusts from Counter to Bar Height Footrest Chrome Base Base Diameter: 17.625” CA117 Fire Retardant Foam Designed for Residential Use Assembly Required Dimensions: 14.25″W x 17″D x 27.50″ – 36″H Approximate Weight: 22 lbs.